TuneCore helps all different genre artists succeed. Being the premier digital music distribution company, TuneCore is also the Official Music Distribution and Publishing Administration Sponsor for the A3C Festival, the preeminent hip-hop festival in the U.S. wherein almost 50% of artists performing at the A3C Hip–Hop Festival have distributed through TuneCore. 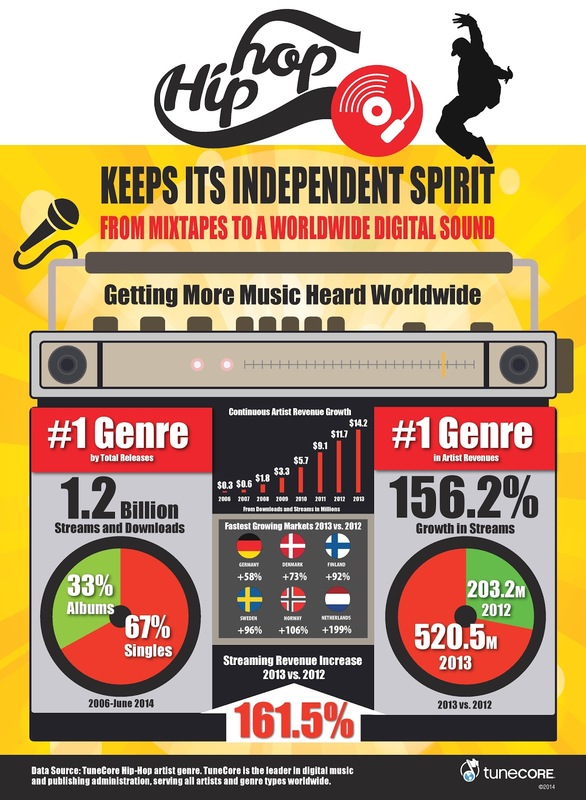 Know more about TuneCore's Hip-Hop artists' performance on the infographic below.